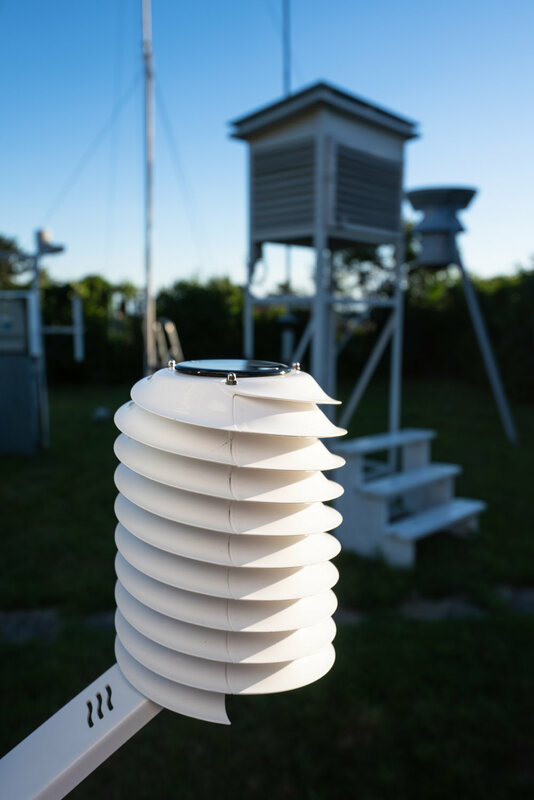 MeteoHelix IoT Pro weather station gallery featuring various installations of this high precision micro weather station. 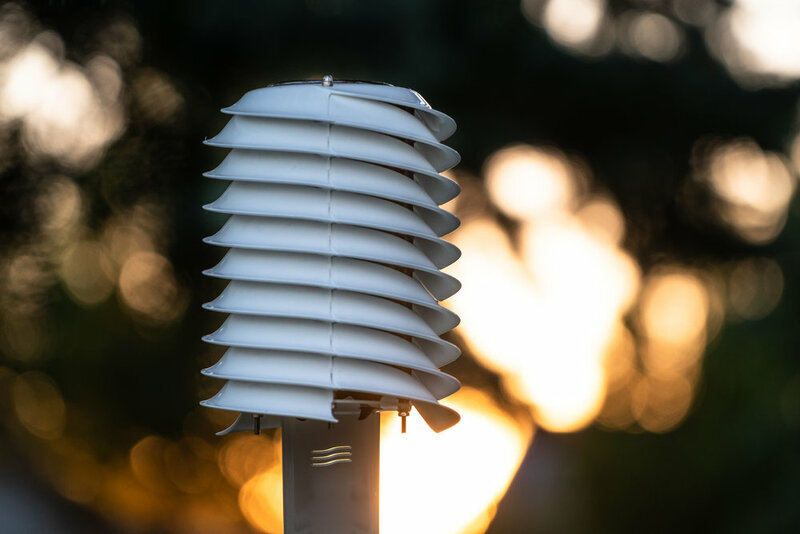 Based on the award winning design of the MeteoShield Professional, the MeteoHelix Pro weather station range offers measurement precision to World Meteorological Organization measurement standards at consumer prices. 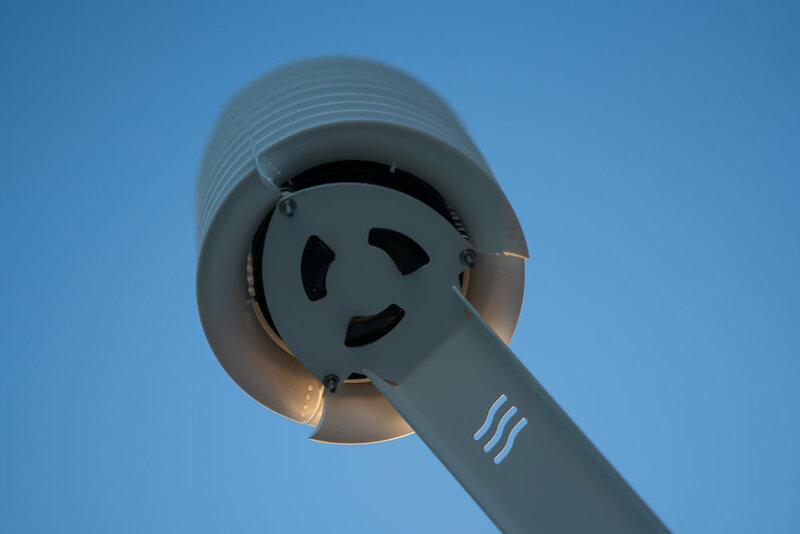 The following meteorological sensor gallery features the innovative helical solar radiation shield. Many of the thematic photos were taken by Mr. Jozef Macak. 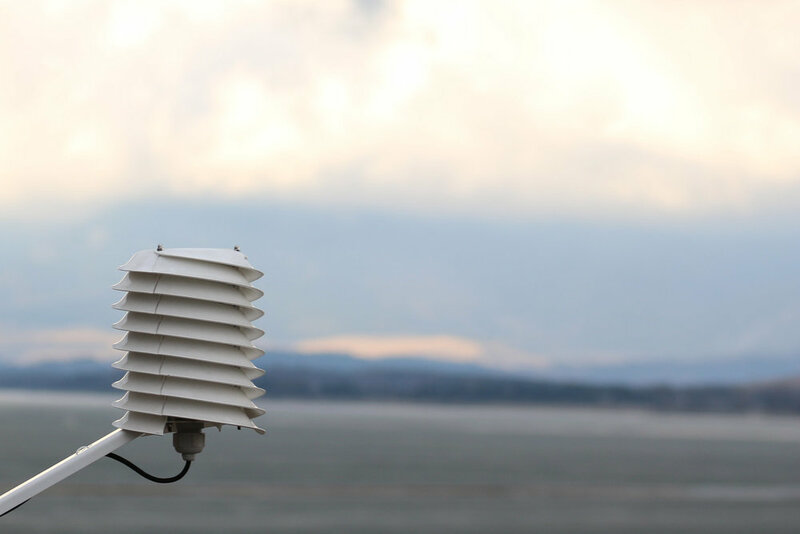 The following meteorological sensor gallery features the latest iteration of the elliptic anemometer, the MeteoWind 2. Once again, many of the thematic high-quality photos were taken by Mr. Jozef Macak. 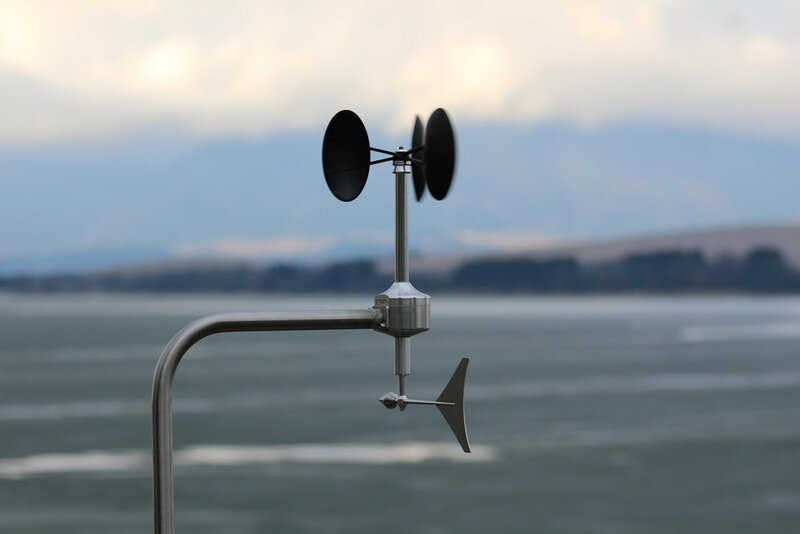 Heated anemometer, while not completely ice free, is able to keep its rotor and wind vane functioning. Elliptic anemometer cups show-off their resistance to ice buildup as compared to the rest of the unheated parts. 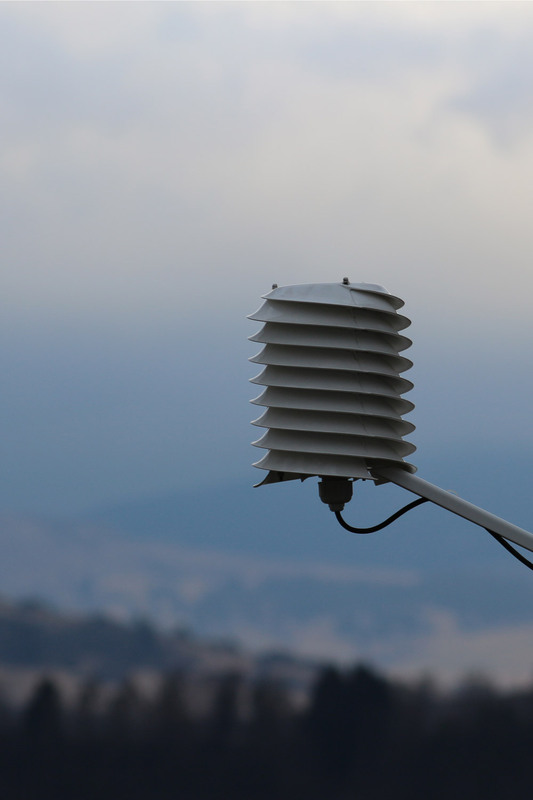 Closeup of MeteoWind 2 anemometer with a wind vane showing the simple 2x M4 bolt mounting. MeteoWind 2 anemometer on a lake shore. 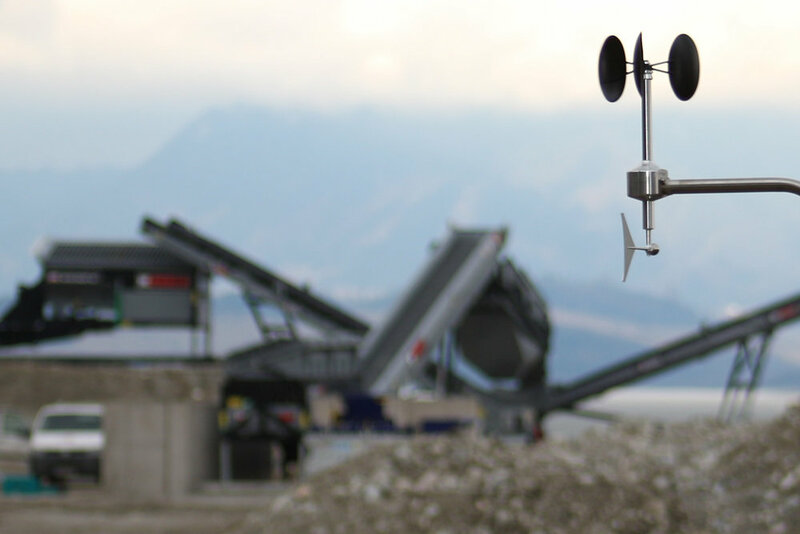 MeteoWind 2 Anemometer and wind vane in a gravel processing plant. MeteoWind 2 anemometer and wind vane product picture. Freezing fog ice formation on MeteoWind 2 anemometer showing the effect of anemometer heating as compared to an unheated anemometer. A night picture showing clearly the effect of anemometer and wind vane heating. 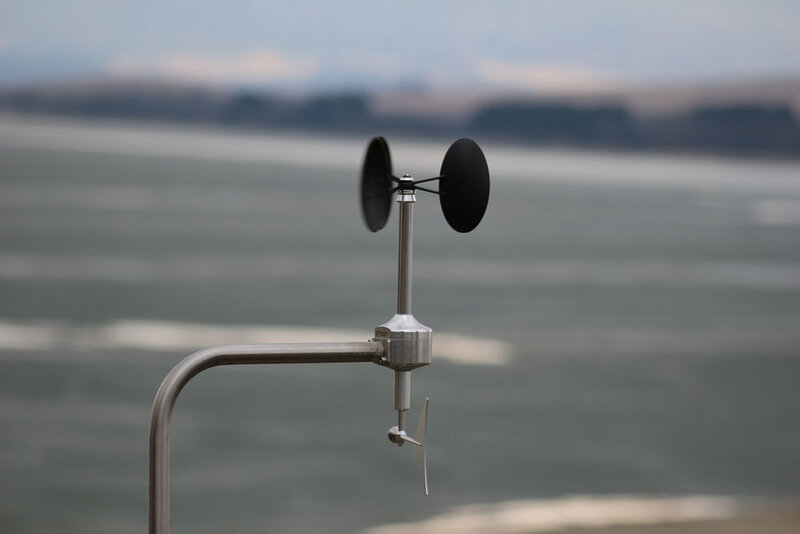 Unheated anemometer rotor is completely immobilized due to icing while the heated anemometer remains generally ice-free. Flat patented elliptic cup design once again shows its superb resistance to ice and show buildup even when all other parts are iced up. Super-cooled fog coming up out of the valley into the mountains can reach temperature down to -4°C before icing up. Anything it touches instantly turns into ice as shown by the ice buildup on the windward side of each meteorological instrument of this weather station. Elliptic MeteoWind 2 anemometer with beautiful blue sky. 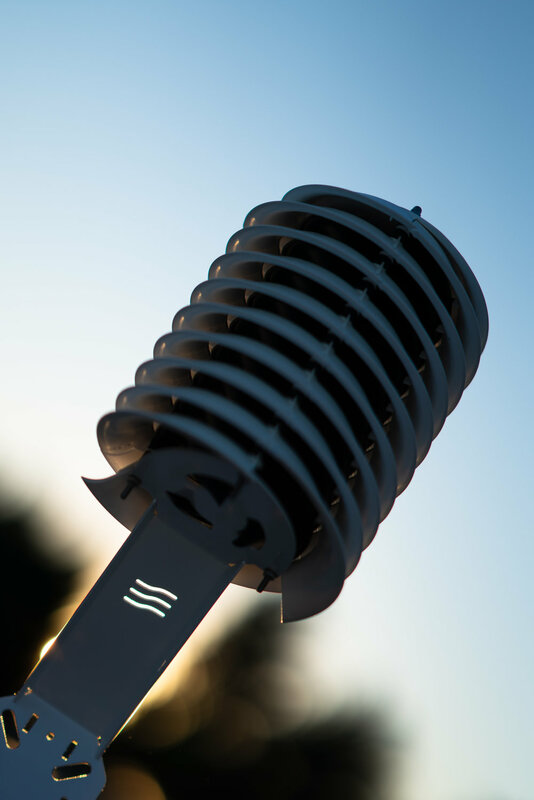 Barani Design elliptic anemometer called MeteoWind 2 on a coast line. Anemometer and wind vane monitoring wind speed and direction near a gravel processing plant. 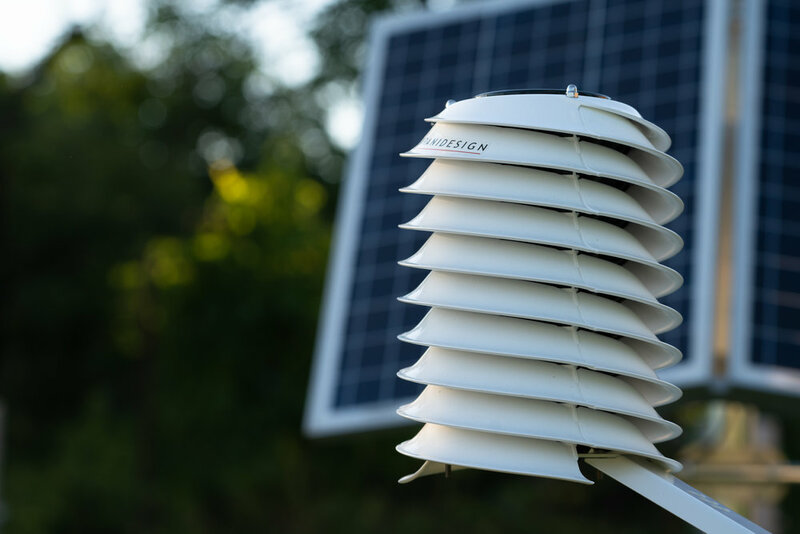 The following meteorological sensor gallery features the little brother of the original helical solar radiation shield. Many of the thematic photos were taken by Mr. Jozef Macak. Air temperature and humidity measurement with MeteoShield Standard in an industrial environment. Helical radiation shield with a dramatic cloud background. MeteoShield Standard on a shore of a lake with forest and hills in the background. Detail of the spiral shape of the MeteoShield standard by Barani Design. Air temperature and humidity sensor inside a helical solar radiation shield downwind of a smoke producing industrial plant. Solar radiation shield with temperature and humidity sensors over railroad tracks with a train passing by. Micro-climate monitoring of air temperature and humidity overlooking a drying lakebed. Air sensor on a lake shore in winter. Microclimate measurement in the mountains and valleys. Helical radiation shield monitoring air temperature and humidity in an industrial park. 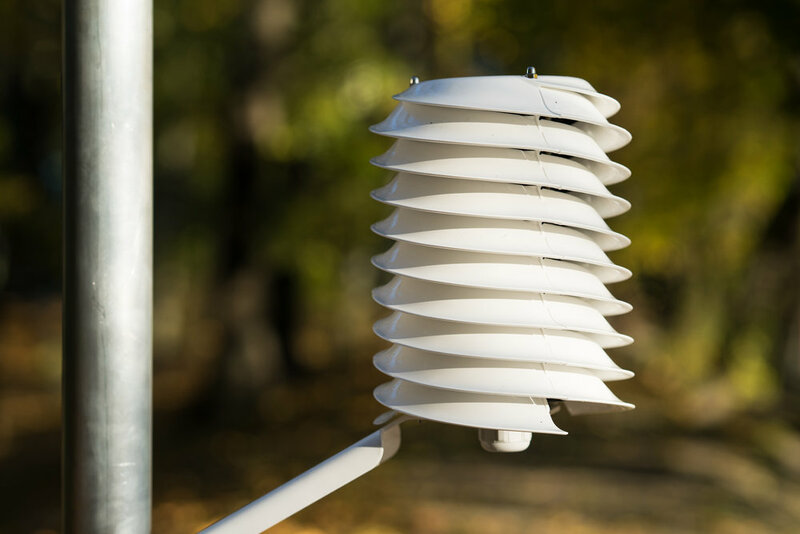 The following meteorological sensor gallery features the first professional all-metal elliptic cup anemometer MeteoWind 1. Once again, many of the thematic high-quality photos were taken by Mr. Jozef Macak.